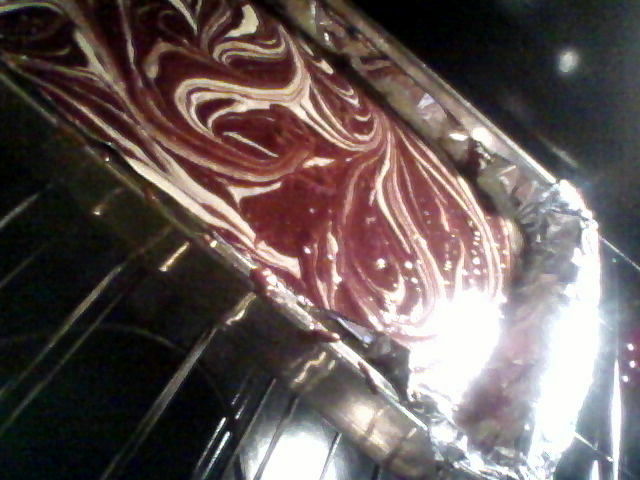 I owe you the spill on those lime cheesecake swirl brownies. Not much to it but here it is: Cafe on Main holds a place on my calendar every Thursday. I don’t make it every week but Cafe on Main is a cool event hosted by a local church, chock full of chat and musical chords, words of wisdom and inspirational words, coffee and pastries, etc.- food for thought and food for fun. But they don’t always charge for drinks, and if I’m correct, they never charge for the pastries. Grateful, I determined to share with them the creative culinary genius rummaging through my head. The problem was that there was none up there. I had no idea what decadence I would bestow upon them. My thoughts started with the fact that regardless of what I prepared, it would be served with the hot drinks typical of a cafe- coffee, tea, chocolate, etc. It would also be ideal that they were not much larger than bite sized and could potentially be hand held. I thought of cookies, cup cakes, something with cream… Nothing quite cut it for me. I needed something a bit more exciting. I thought back to my time in Baltimore playing with the balance of tastes and flavors. In short, our taste buds are most intrigued by a balanced combination of sweet, salty, sour, and bitter tastes along with a mix of different textures and temperatures. For example, this explains the success of salted caramel, sweet and sour chicken, grapefruit and sugar, or dark chocolate. With this knowledge in mind, I took a sip of black coffee and began to explore less traditional accompaniments. My favorite combination was coffee, honey, and lime juice (bitter, sweet, and sour). I now had a lead. I was stuck on lime. But rather than mixing it in my coffee, it would be served beside it. I now thought of tarts and the like. Right now, I really can’t recall how I eventually crossed the bridge to brownies but perhaps it was the challenge of championing that recipe: flipping through the recipe book, I was introduced to a brownie recipe that included a cheesecake swirl. (It served as inspiration for my “Clean Eating Entry”.) I have not yet successfully produced the recipe to my satisfaction, though, and was determined to get it right this time. 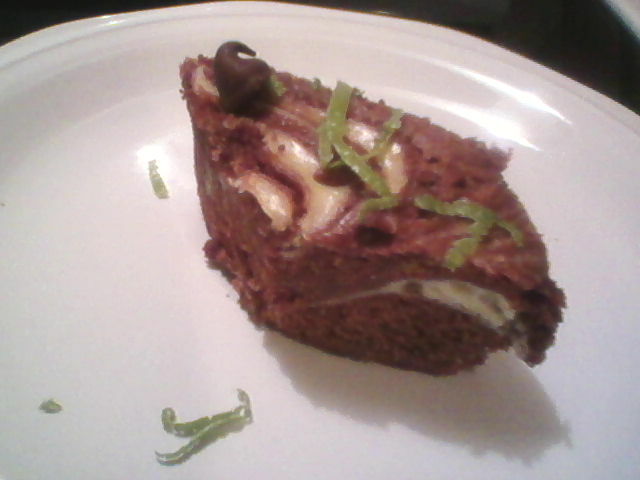 Yet this time it would be brownies with a lime cheesecake swirl. Bingo! As counter intuitive as that may be for some it worked. Chocolate and citrus, coffee and chocolate- both somewhat classic combos along with the addition of my appreciation for lime and coffee. For what ever reason, I didn’t attempt to work honey into the recipe. Well, the day came; the brownie batter was made; the cheese cake batter was made; lime was zested and juiced; batters were swirled and brownies were baked. Out of the oven, it looked good. I feared I baked it too long- not that it was burnt or anything but I believe brownies should be left a bit fudgy. It’s like cooking a steak well done while aiming from medium well. In honest review, they enjoyed it at the cafe but as a chef knows the aim, the recipe still needs work. Flavors were good and worked well together, but i wouldn’t have minded greater intensity. 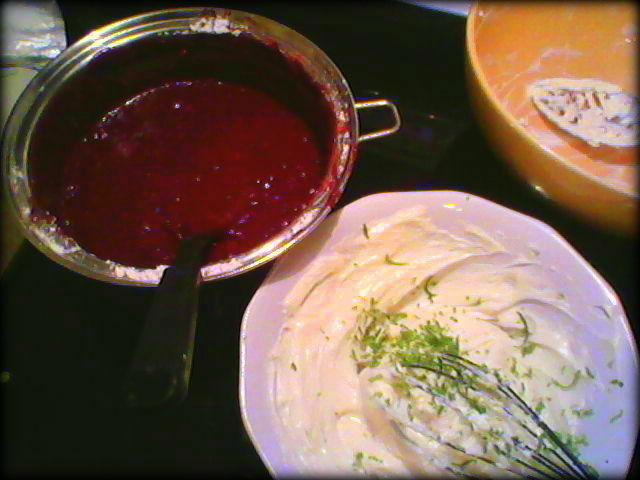 I used Persian limes as that is what was available. Perhaps the more potent key limes in combination with dark chocolate as opposed to semi-sweet would have delivered. My fears were realized as the brownies were not as moist as desired. I’m not yet sure if added moisture in the ingredients is the solution or a shorter bake time. While I do take solace in the smiles and compliments of those who ate from my plate, I will settle for nothing less than the best, always occupying whatever room is left for improvement.